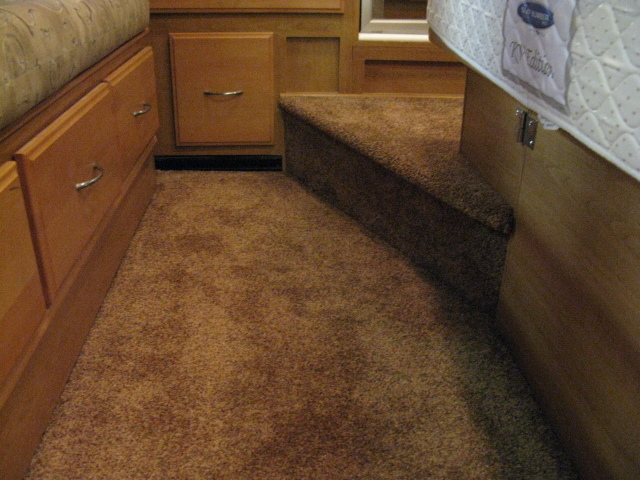 Tired of carpeted walkways? 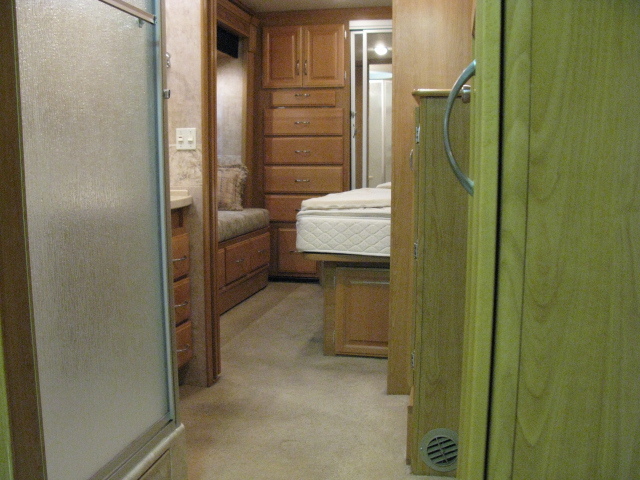 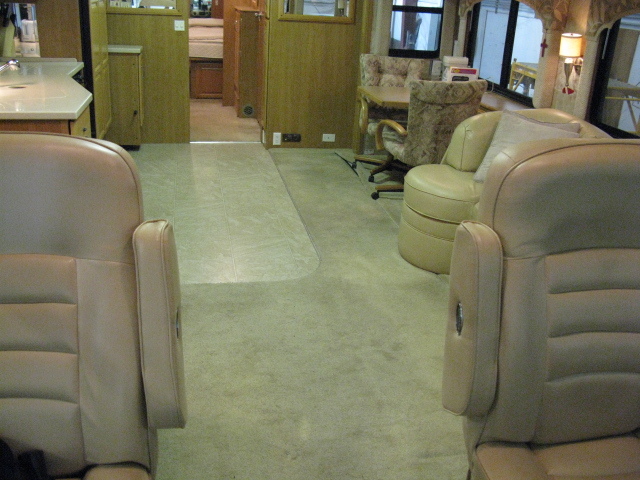 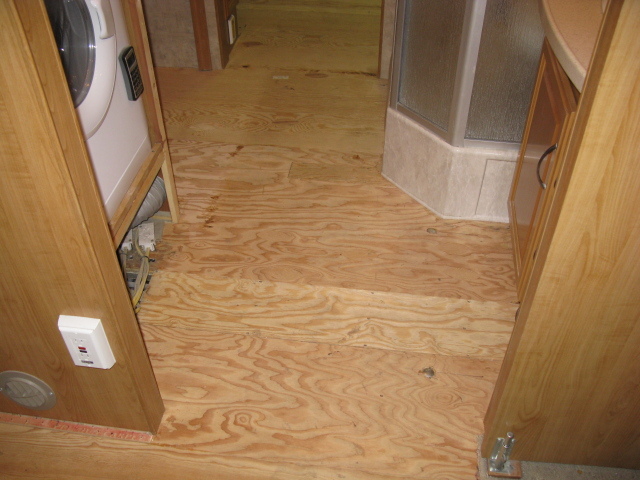 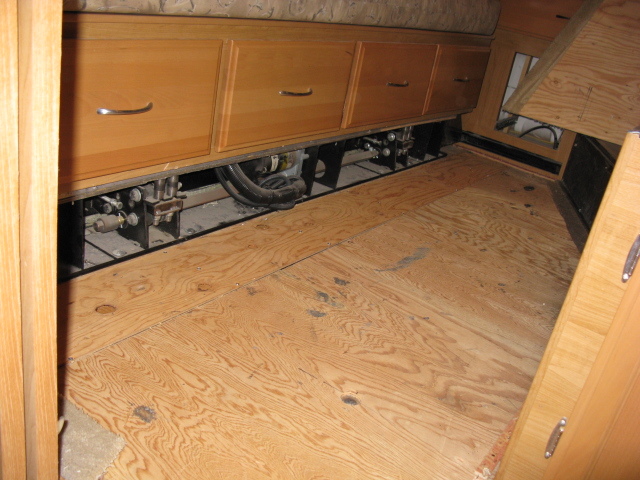 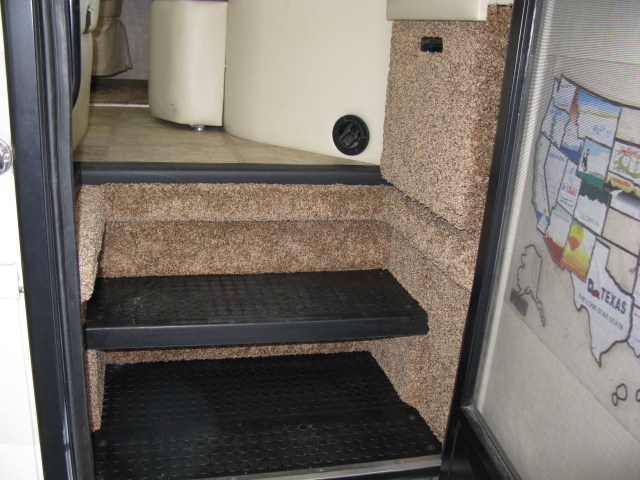 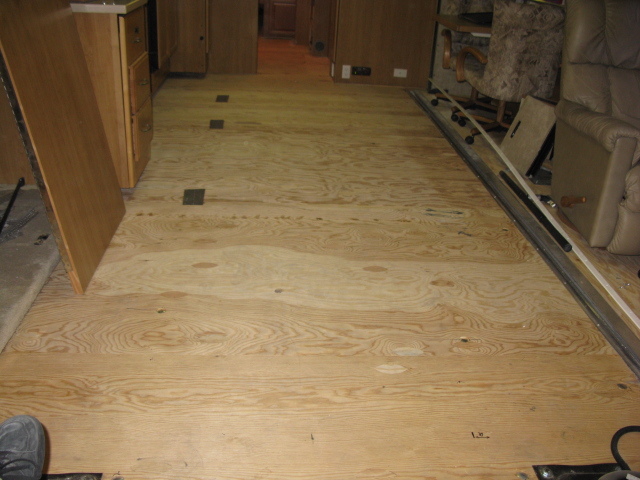 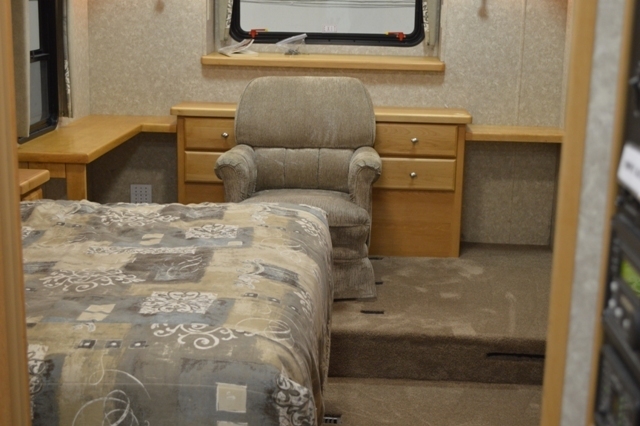 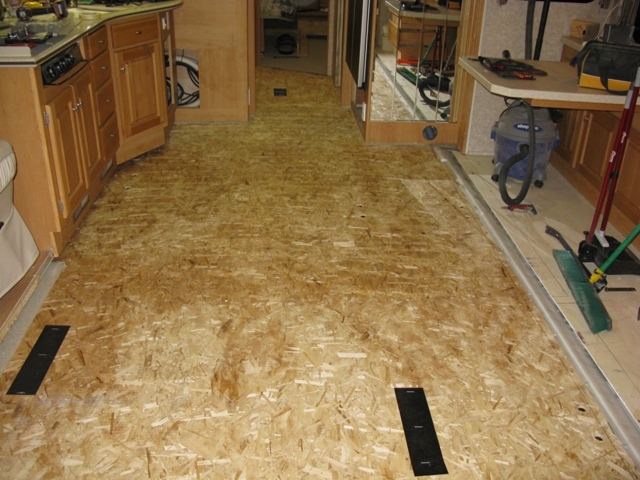 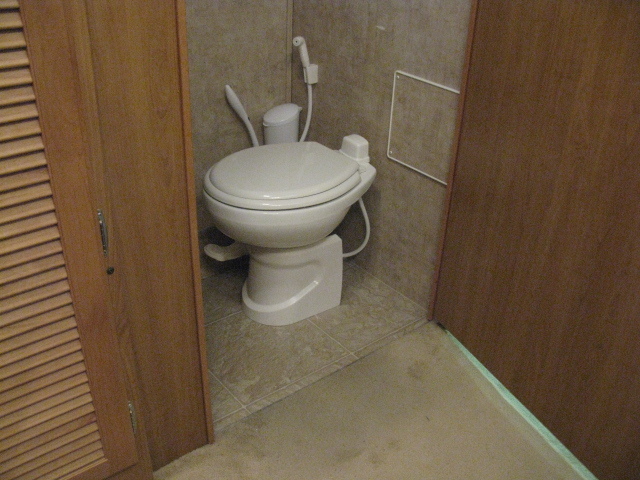 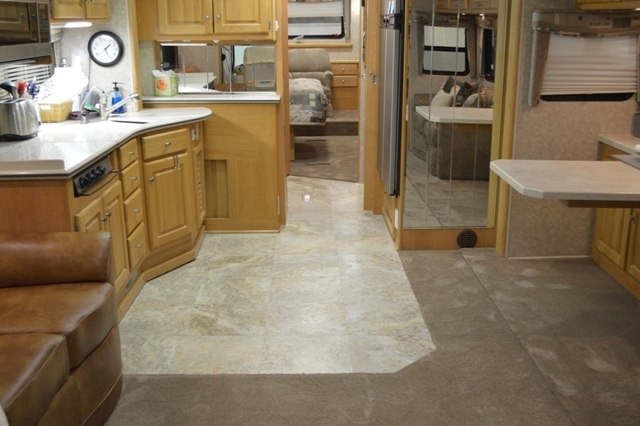 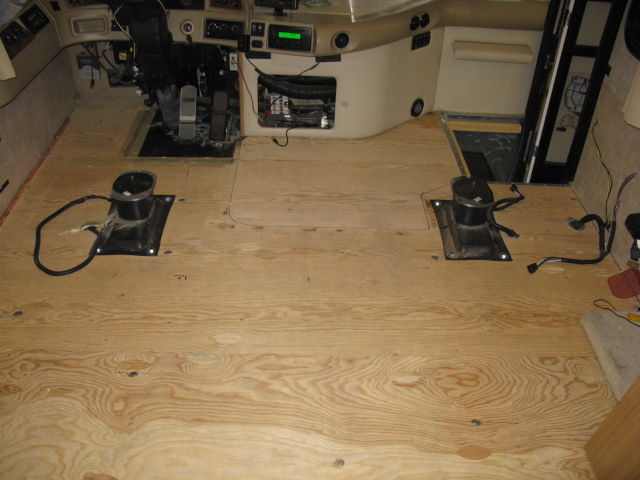 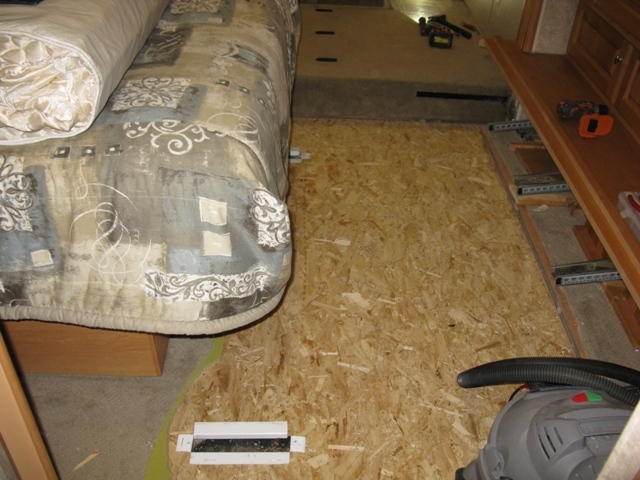 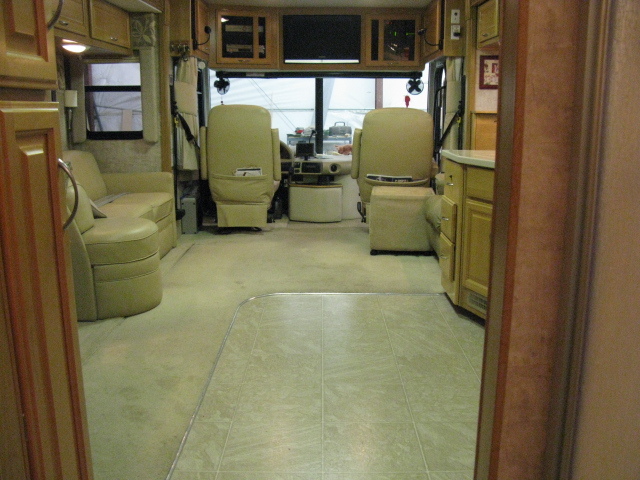 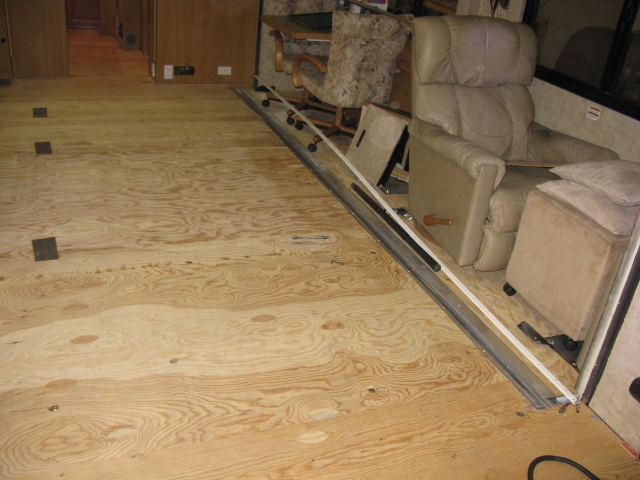 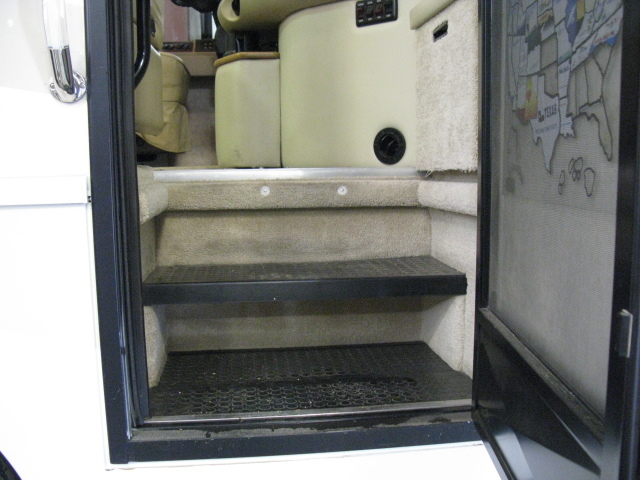 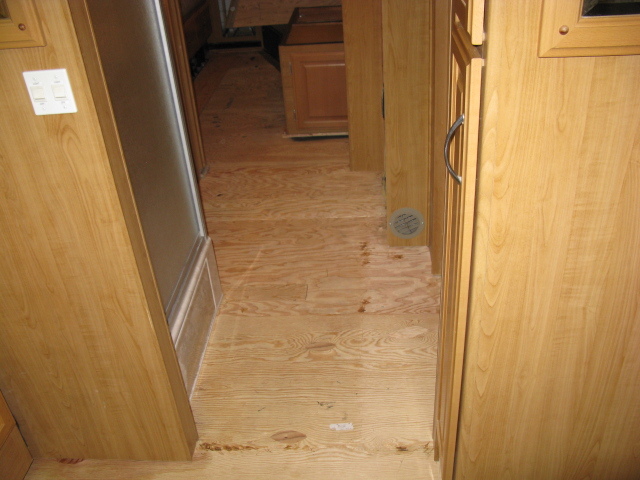 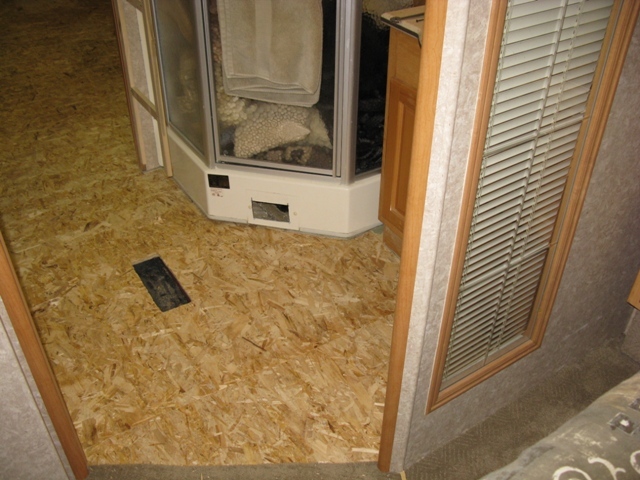 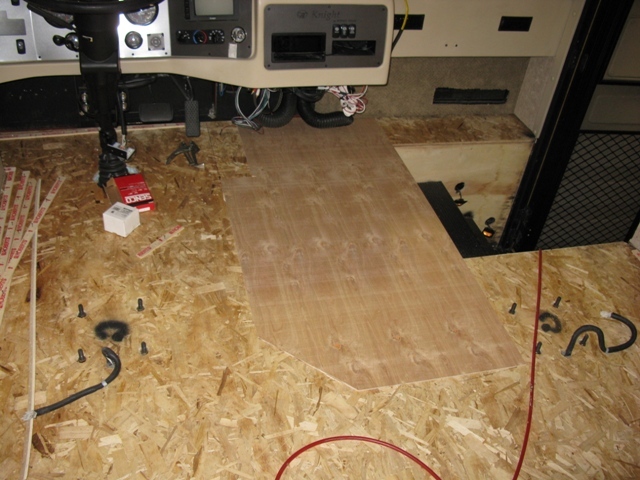 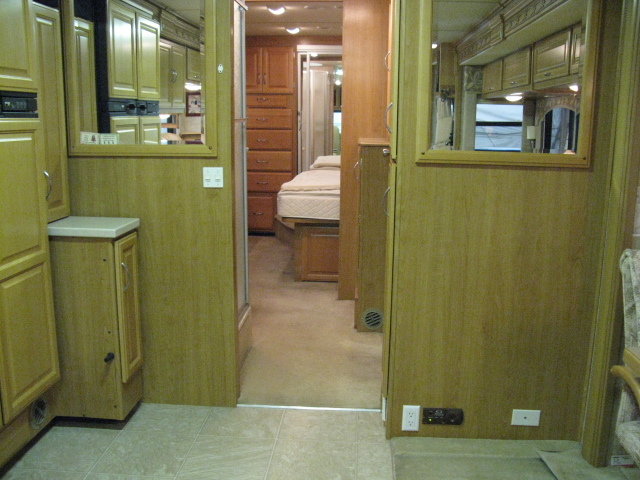 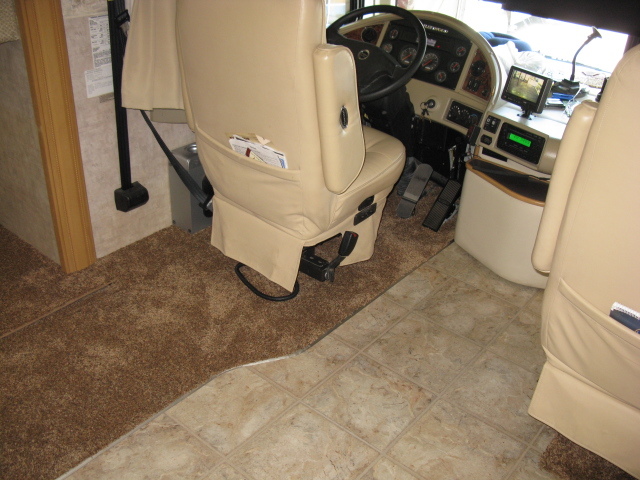 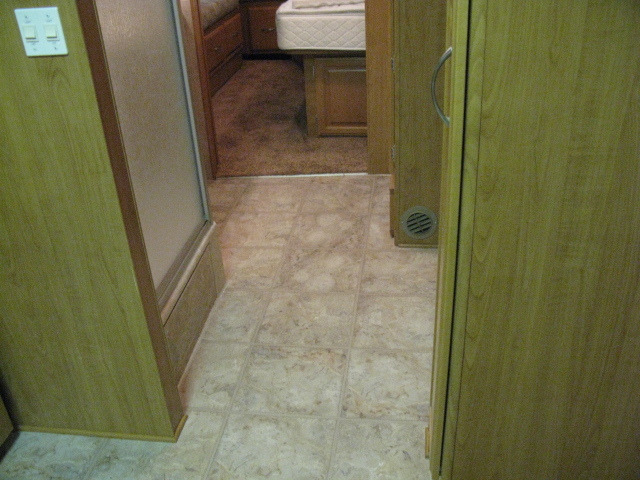 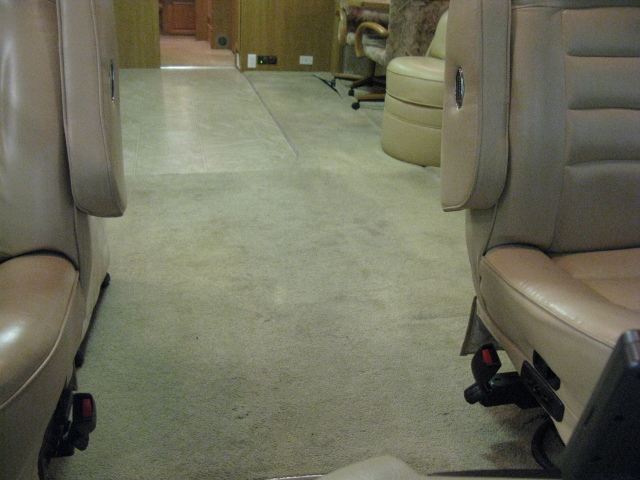 Take a look at the new flooring and layout in this Bounder Diesel. 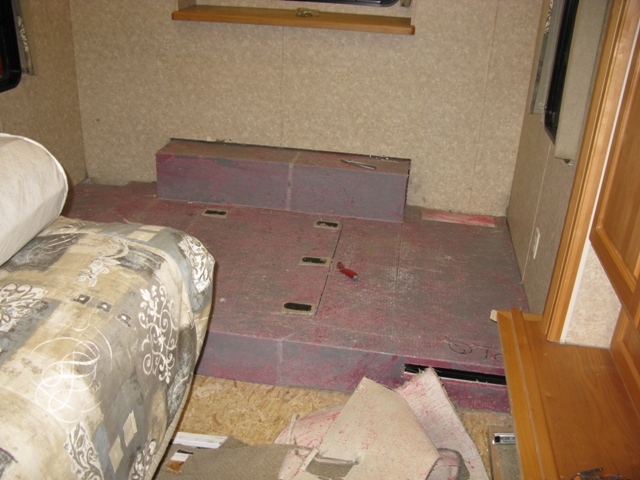 All of the original carpeting and linoleum were removed front to back. 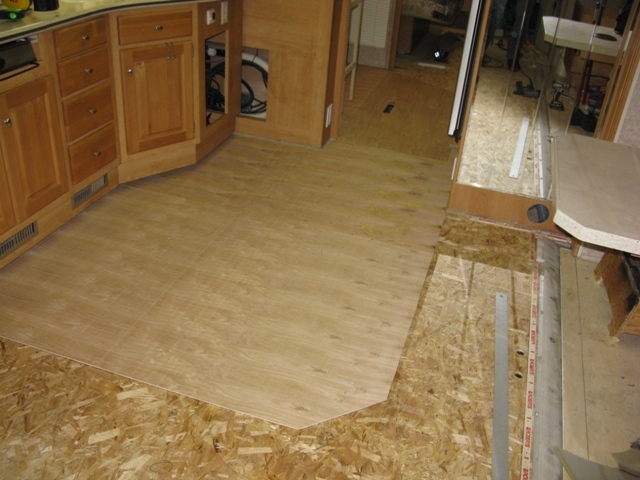 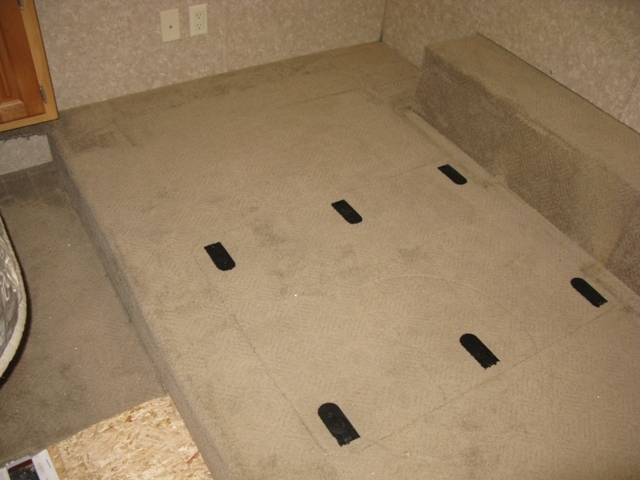 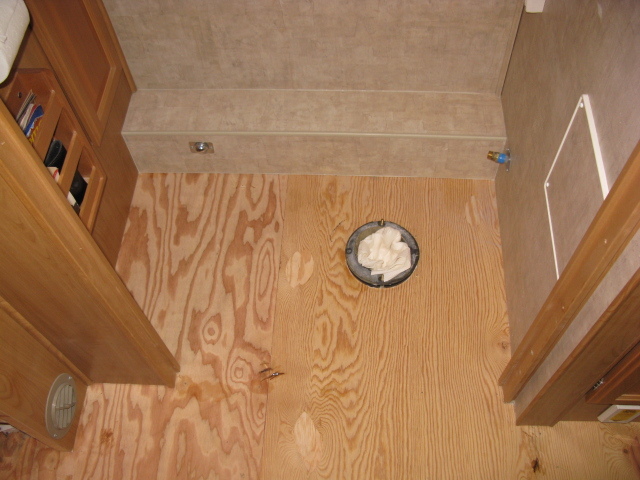 As with most flush floor slide out’s a small strip of carpet needs to be installed in front of the slide out to prevent damage to the solid surface flooring. 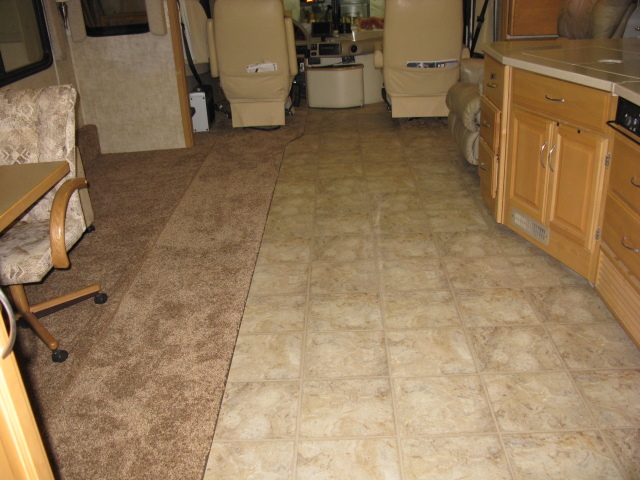 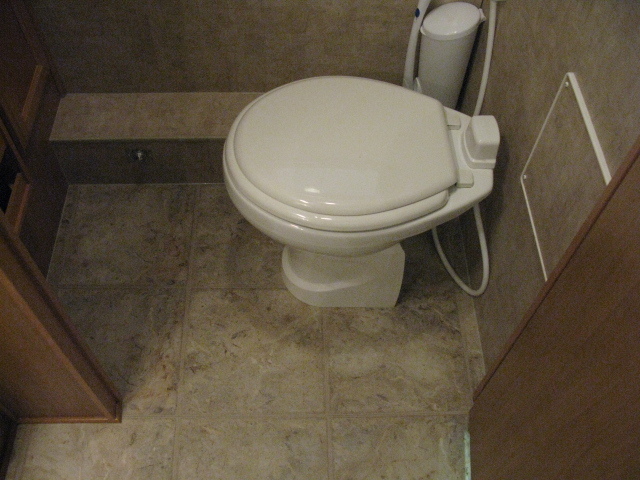 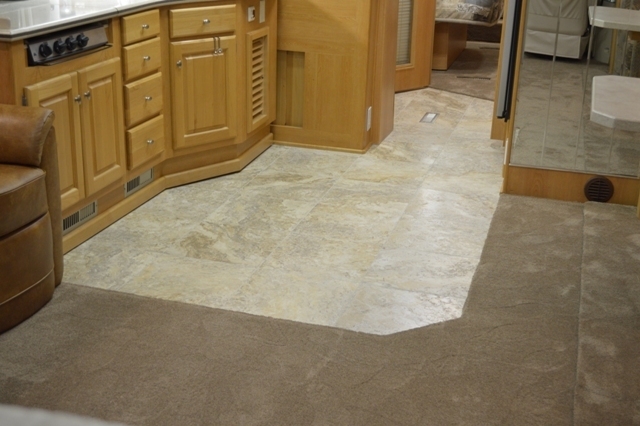 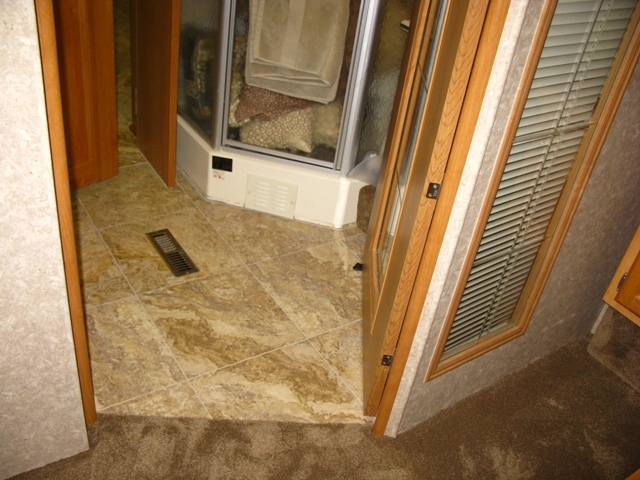 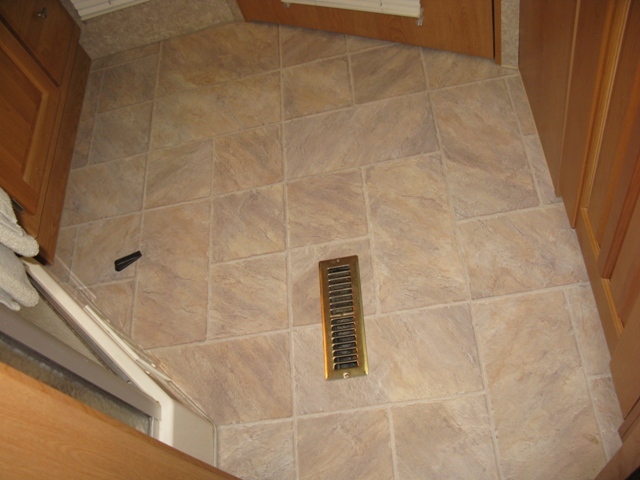 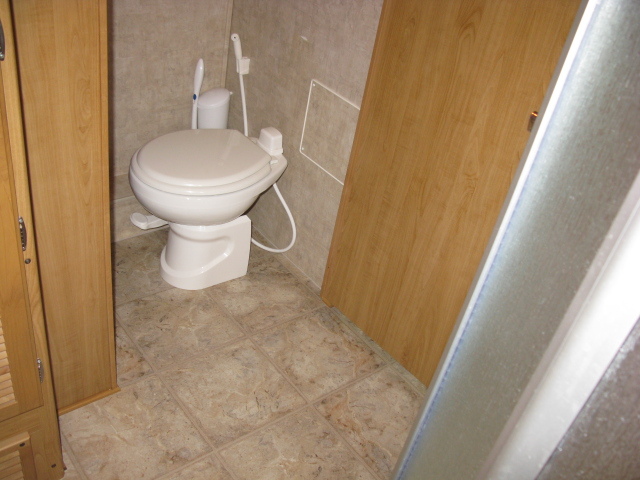 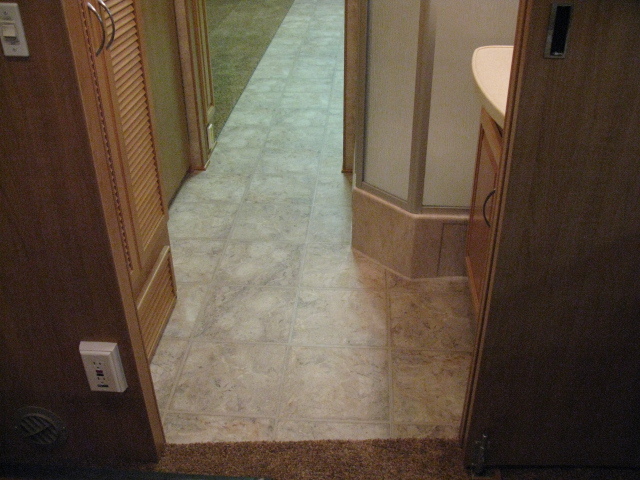 In this coach the owners decided to go with Allure flooring, it is a very resilient simulated tile that goes down in 12 X 36 sections. 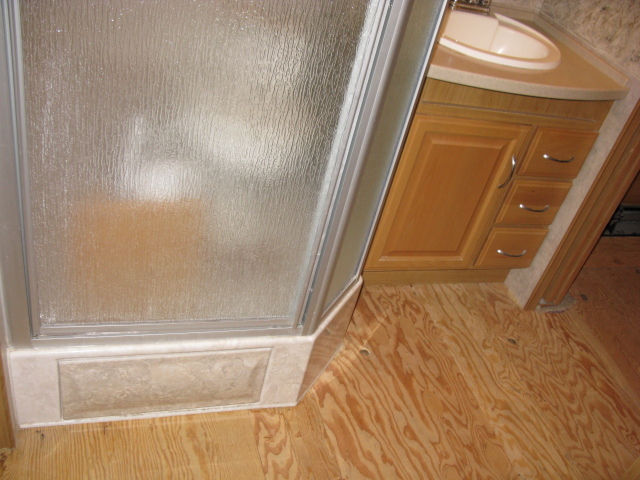 The shower/ hall were also originally done in carpet, obviously that had to go and be replaced with Allure as well. 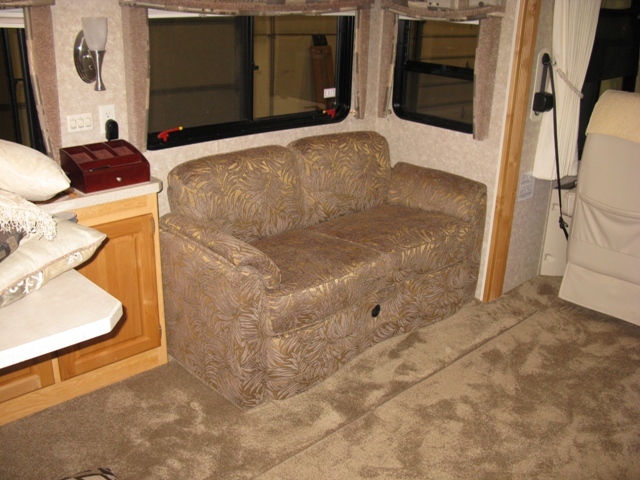 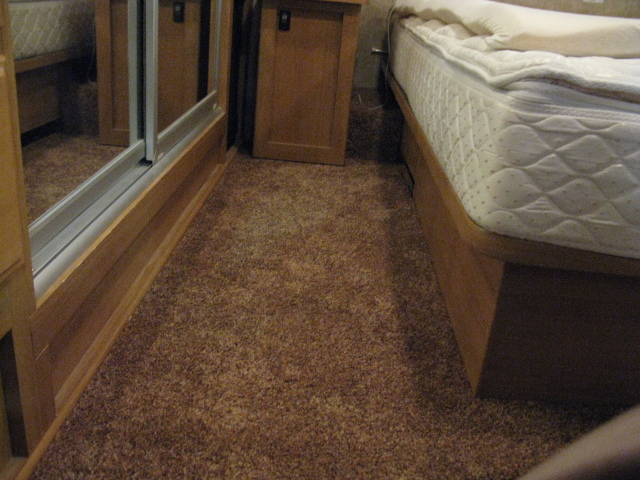 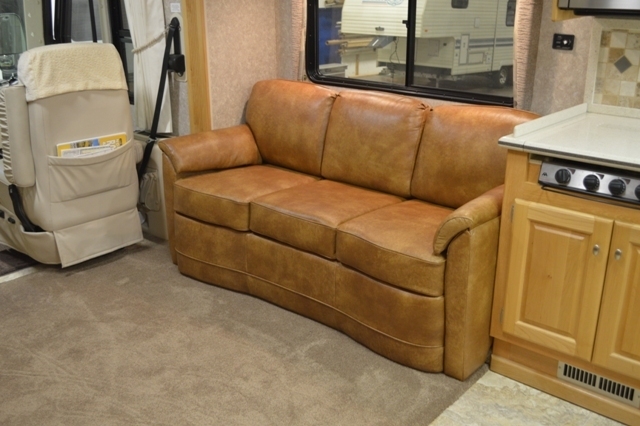 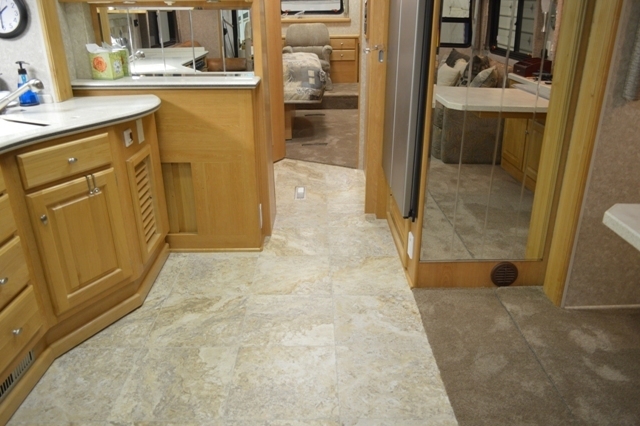 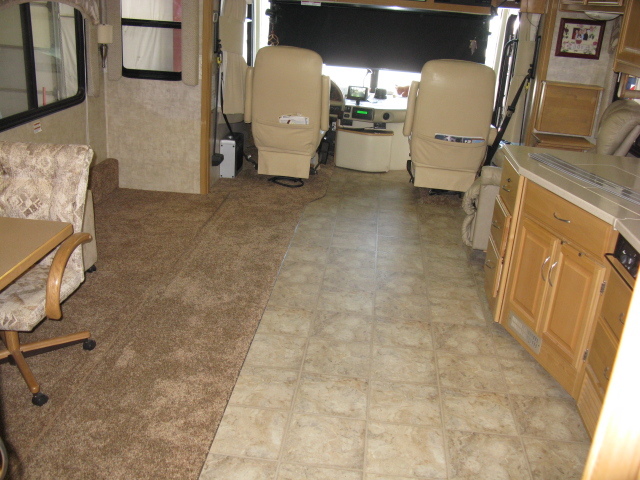 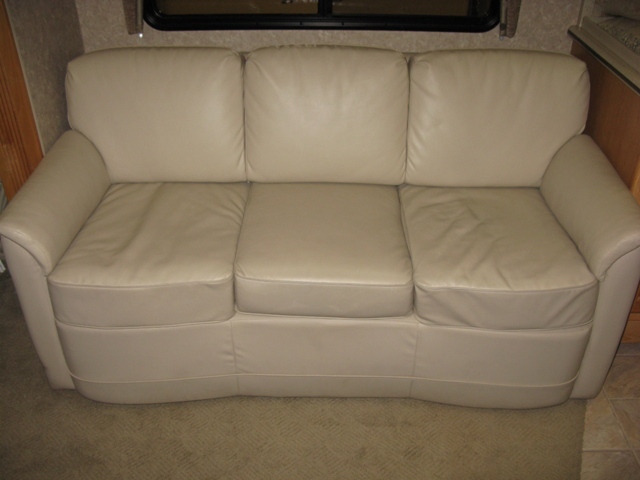 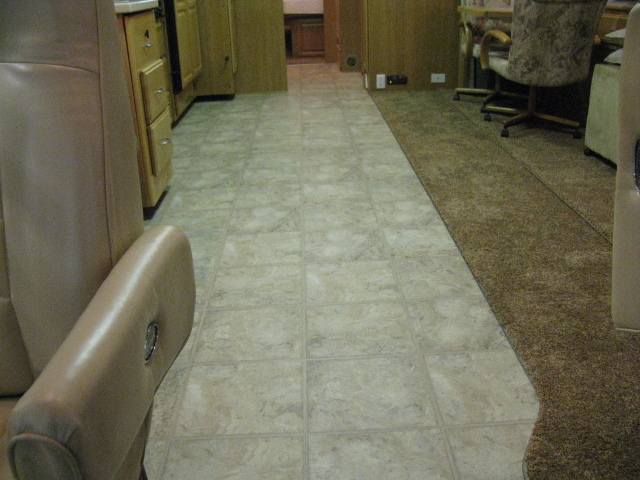 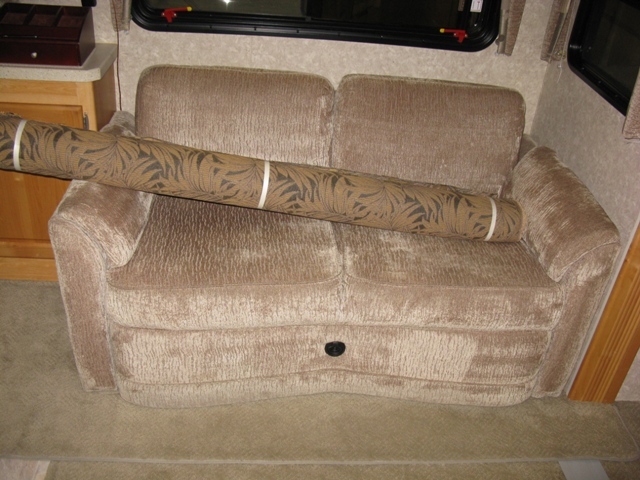 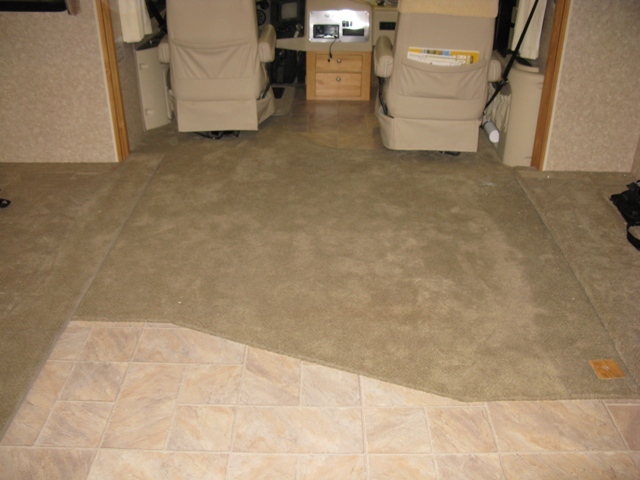 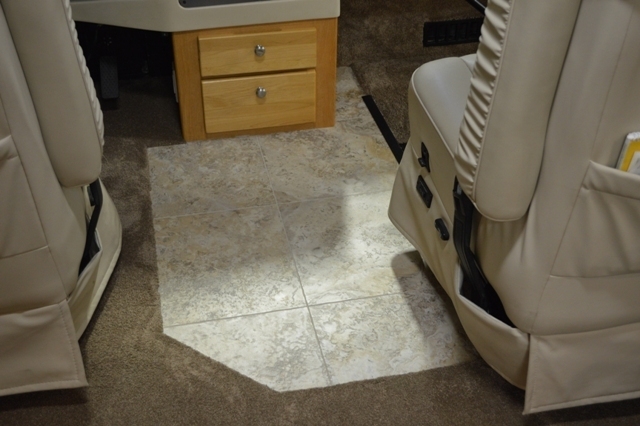 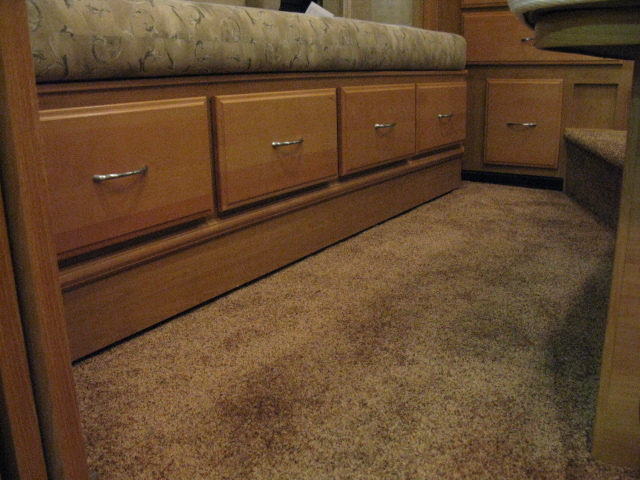 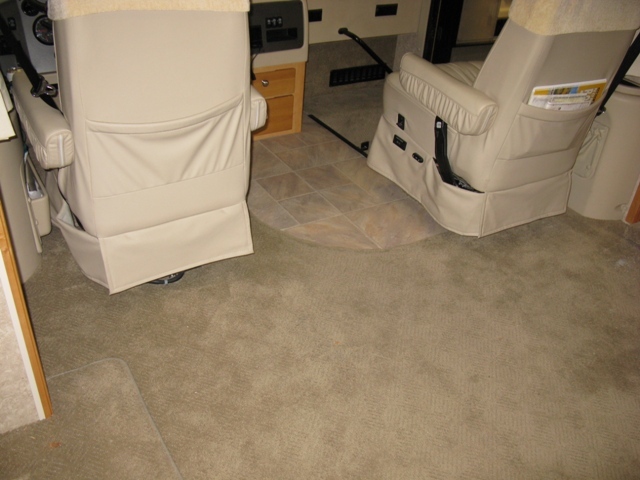 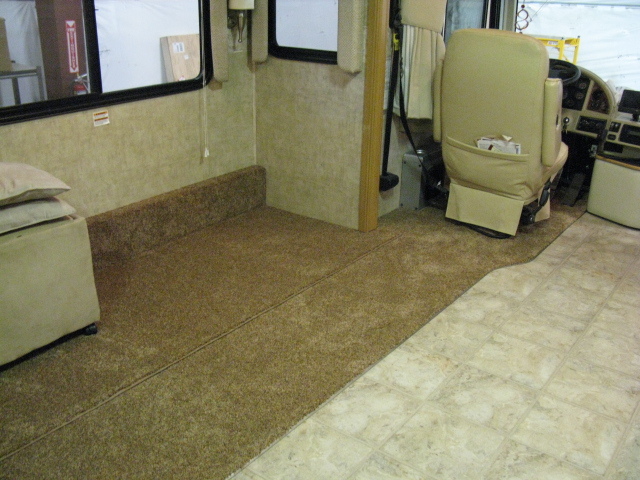 The flooring upgrades made a dramatic change and feel in this coach. 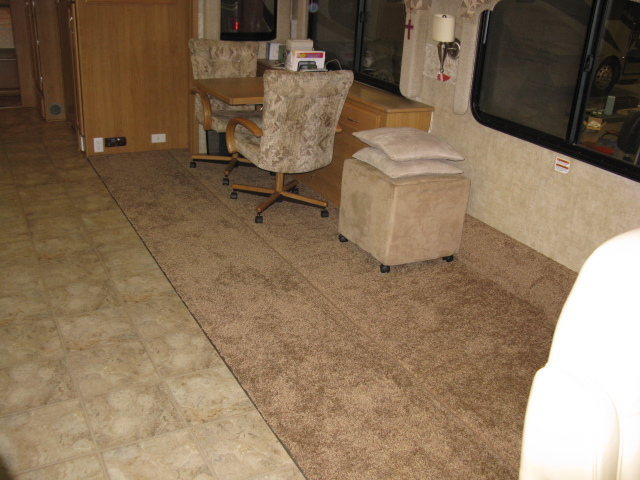 The owners could not believe the difference in their coach after having quality materials installed in a layout that makes sense.